THE organizers of a competition to find some of the world’s most promising security technologies today announced five finalists. 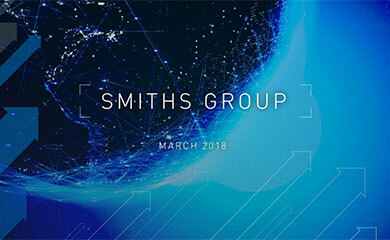 The Global Security Challenge (GSC) is organised by MBA students at London Business School and supported by Smiths Detection, the US Department of Homeland Security, ONR Global, BAE Systems, Accenture and SAIC among others. The five businesses are competing to win a $500,000 grant, which is sponsored by the US Government’s Technical Support Working Group (TSWG), and mentorship from leading venture capitalists, including Paladin Capital Group. The winner will be announced in London on November 8. The five finalists have developed technologies that can identify people through biometric analysis of how they type, scan the eye to assess a person’s health, protect against multiple explosions, detect and identify people at night without illumination and recognise faces despite changing light, facial expressions and the presence or absence of beards, moustaches or spectacles. 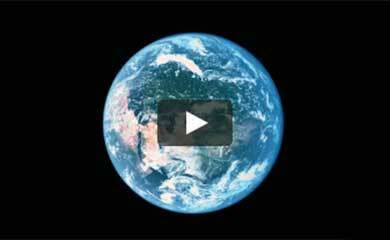 This is the second Global Security Challenge. Last year’s winner was the London-based Ingenia Technology, which has developed technology that mimics the biometric principle in humans but applies it to inanimate objects such as documents, goods and packaging allowing them to be authenticated and verified. Psylock provides a unique biometric technology that authenticates computer users securely on any computer, without requiring hardware or installation and with very precise recognition rates. Each user is authenticated by the specific way he or she types at a common computer keyboard. The analysis not only validates dependant parameters, like the speed and rhythm of typing which can vary depending on the circumstances, but also stable parameters of typing like left- or right-handedness, typical typing mistakes, correction methods and more. The result is calculated based on complex statistical models and artificial intelligence. The Auxetix blast-mitigation fabrics use a completely new kind of technology that provides enhanced multiple-event protection for windows by exploiting the unusual behavior of the helical-auxetic system. The fabrics, which are composed of large numbers of thin high-strength fibers wrapped around elastomeric cores, can also be used to line military vehicles and aircraft, enhance body armors, in transportation crates, and for the protection of stored ordnance. The technology responds to a blast by expanding which allows a blast front to pass through the material slowing it down and reducing its capacity to kill or injure. Robust recognition: ‘face synthesis’ represents an individual with thousands of facial images and has proven to offer a much more robust face recognition. Works outdoor with dirty workers! Maintenance: Face synthesis is to face recognition what an Anti-virus is to Windows. When a face recognition system does not work, just use more Simulation models – add more lighting, poses, expressions and artefacts (glasses, moustache, medical masks,…). Current maintenance either requires re-enrolment of images or change of matching engine. Synthesis enhances the database automatically. Economical: Face recognition to work needs thousands images/ person. synthesis helps the enrolment officer, saves time and money; XID plans to create a 3D face reconstruction chip from a single 2D photo that can be used everywhere, from biometric passports, access control, image search, to media applications like 3D avatars constructions and face replacement into video and video games, where XID is also a an award-winner and worldwide innovator. NoblePeak Vision provides camera core and imager products that are sensitive over the visible to short-wave infrared (SWIR) spectrum and that provide breakthrough night vision performance with applications in the security, transportation and defense markets. 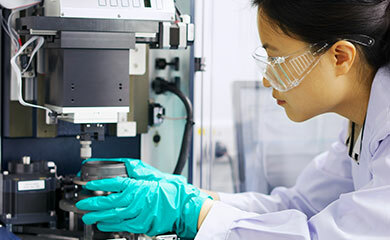 NoblePeak’s unique integrated approach allows the entire infrared image sensor to be manufactured in a standard silicon process line, yielding never before achieved reliability and economics. Founded in 2002, NoblePeak Vision is a private company funded by Matrix Partners and North Bridge Venture Partners. The company is headquartered in Wakefield, Massachusetts. EyeMarker Systems is an emerging company committed to the commercialization of innovative ocular screening technology. The expertise found within EyeMarker, combined with that of its partners and collaborative research institutions, provides a solid foundation for the development of an Ocular Scanning Device to benefit the Defense, Emergency response, Homeland Security and Clinical medicine markets. EyeMarker Systems was founded in 2001 and established headquarters and research capabilities in Morgantown, West Virginia, in close proximity of West Virginia University and the WVU Robert C. Byrd Health Sciences Center.